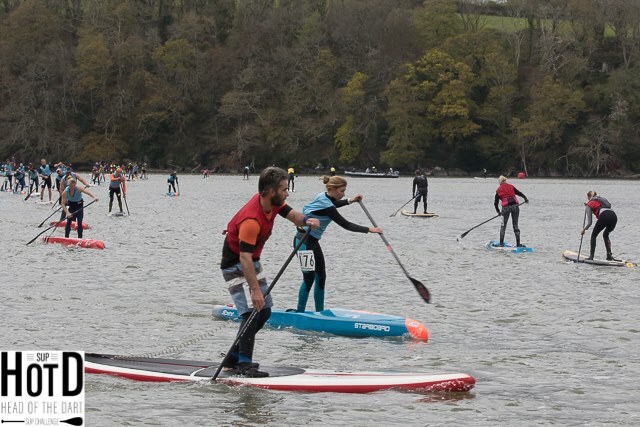 On Sunday 14th April, the UK’s best attended stand up paddle board (SUP) event took place in Totnes, South Devon, with 263 paddleboarders registered for the annual Head of the Dart SUP Challenge. This follows on from the rowing event the day prior, both of which for the second year running saw event organisers altering the course last minute for paddler safety due to challenging, windy conditions. This event is the season’s opener, with paddlers traveling from all around the country and further afield including the USA, Denmark and Australia! Such is the popularity of the event, it sold out within an hour of registration opening in February. For the first time, the event saw 4x World Champion and ISA Vice President Casper Steinfath taking part alongside some of the best paddlers in the UK. Traditionally the Head of the Dart SUP Challenge sees a large leisure fleet, and this year was no exception with just over a hundred paddlers looking to complete the course as a personal challenge. The event is open to all paddlers aged over 16yrs old, with the oldest competitor this year being 71 years old. The Head of the Dart event was also the start to the GBSUP National Distance Series which is a series of 5 flat water SUP races around the UK, with the next event being Battle of the Thames taking place on 27th April on the Thames. 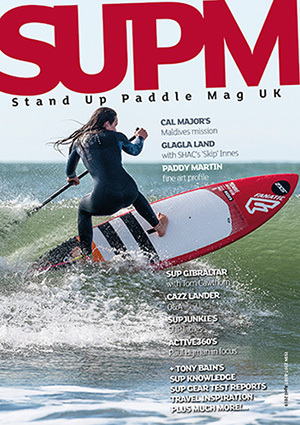 Paddlers will also be back in Devon in October to take part in SUP the Creek run by local company Waterborn SUP based in Kingsbridge, as well as GBSUP National Series 3rd Technical race taking place at South Sands, Salcombe. 2019’s fastest female Marie Buchanan had a titanic battle and was pushed hard throughout the entire race by runner up Ginnie Odetayo who finished just 15 seconds behind. Fellow Devonian Holly Pye, at just 21, made it a double podium for Starboard in a superb 3rd place, crossing the line over a minute and a half ahead of 4th position. Through much of the men’s race, Hungarian racer Zoltan Erdelyi was locked in battle with the UK’s Ryan James and Blue Ewer, along with Dane Casper Steinfath. Using the chop to his advantage, Erdelyi surged clear in the home straight leaving youngster Ewer and James in his wake. 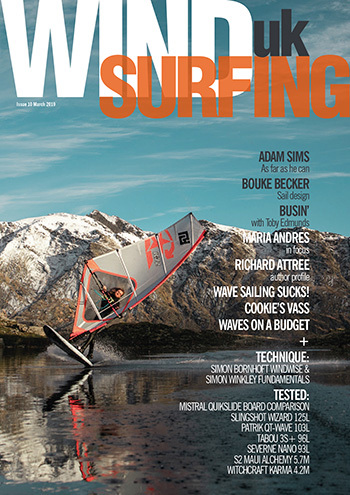 Steinfath’s fourth position was particularly noteworthy being placed first inflatable board. Head of the Dart SUP Challenge is not just for individuals or seasoned racers: this year saw five teams of four paddlers complete the course on a Red Paddle Co Dragon, which is 22ft by 34 inches wide. Devon locals the Prawn Stars retained their title with another solid performance ahead of a determined challenge from the Cornish WeSUP team. “Head of the Dart has always been a special event. It takes in some stunning scenery and for those contesting for a podium or to beat a PB there are plenty of opportunities to make some good tactical decisions along the route using the tidal streams. For me and I think most entrants though the event is more than a race, it’s a fantastic experience for all level of paddlers. Great atmosphere, slick organisation from a passionate team and an excuse for a Party at Red HQ for all entrants. 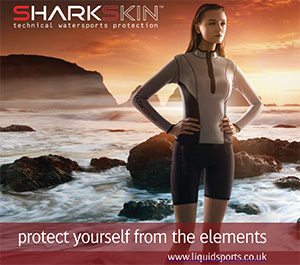 The Red Paddle Co Dragons are always good to watch too and I’d encourage anyone who liked the look of the Dragon boards to check out the Dragon World Champs in Lake Annecy, France that we are running on 15-16th June – https://www.dragonworldseries.com/about.” – John Hibbard, Co-Founder of Red Paddle Co.
For 2019, prizes were provided by sponsors Salcombe Gin and Moorish Humous Dips (based in Totnes) who came on board for the first time. With the wider focus on the effect’s that plastic has on our waterways, the event organisers were keen to ensure as little as possible was used and encouraged paddlers to do the same by avoiding single use plastics. In addition, event sponsor Starboard SUP agreed to offset the carbon footprint of the event by planting multiple mangrove trees in accordance to the travel time and distance of all the paddlers. Each mangrove tree absorbing up to one ton of CO2 over twenty years.